Our house had front room, living room, kitchen, 2 bedrooms. Outside toilet in yard, with a large brick shed which had originally had a brick built wash boiler fuelled by a fire. We overlooked the Ropewalk & towards the rear of the Corporation Depot. We had of course full electric & water services. … Landlady was Eliza Irvine who lived at 26 Kidd’s Tce. She was a relative of the Kidd family who had originally built the houses c.1860. & other members of that family either lived and/or owned houses in the Terrace, which had 28 houses in total. My great grandfather Henry Kidd built the terrace – Sadly demolished before my time – lovely to see a photo! 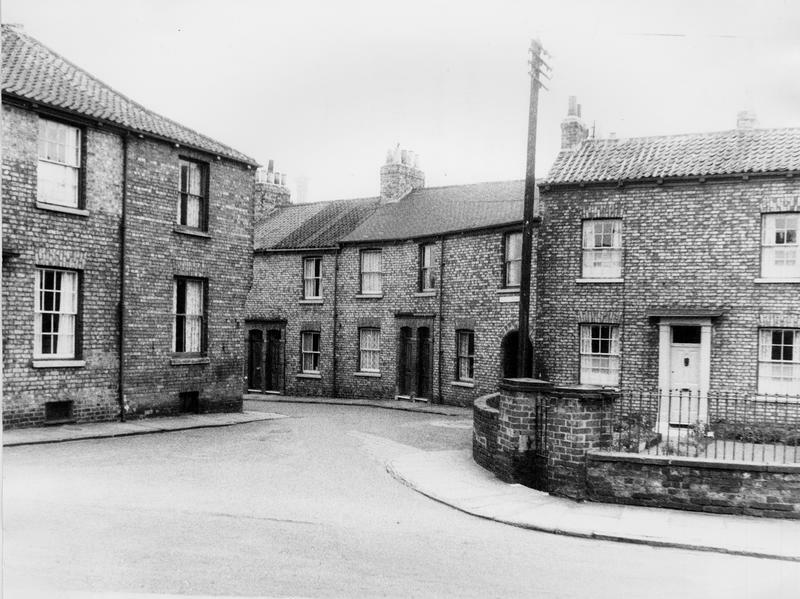 I spent my first holidays in kidds tce staying with my lovely aunty edie and uncle fred .The main memory I have of that house was that the stairs were in a cupboard, and it was very cosy.I loved York ,this was in the 1950s/60s.Im sure there was a goat tethered in the back lane?